Overture Films has released two new TV spots from The Crazies which stars Timothy Olyphant, Radha Mitchell, Danielle Panabaker and Joe Anderson. If you’ve been looking forward to the film which opens February 26, the spots feature some new footage. But since each spot is only 30 seconds, it’s not much. Hit the jump to check them out. Imagine living in a small town where everything is safe and happy…until suddenly it isn’t. Imagine your friends and neighbors going quickly and horrifically insane. 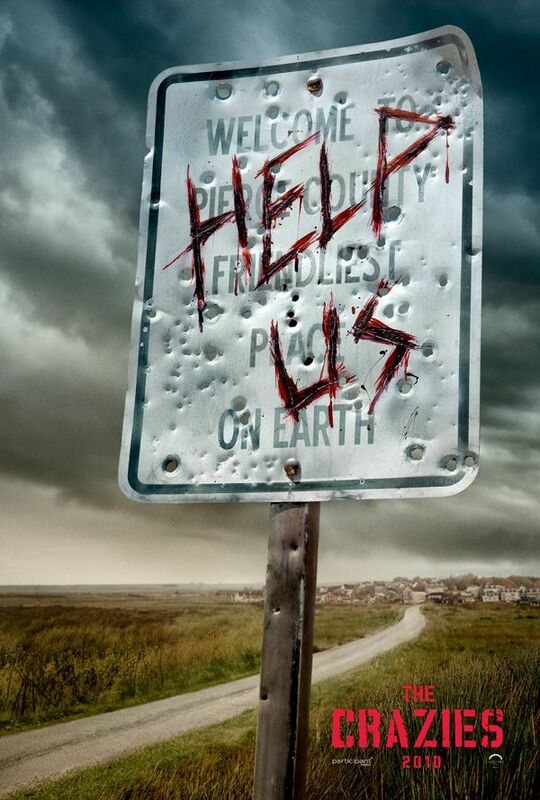 In a terrifying tale of the “American Dream” gone horribly wrong, four friends find themselves trapped in their hometown in The Crazies, a reinvention of the George Romero classic directed by Breck Eisner from a screenplay by Ray Wright (Pulse, Case 39) and Scott Kosar (The Amityville Horror, The Texas Chainsaw Massacre). David Dutten (Timothy Olyphant) is sheriff of Ogden Marsh, a picture-perfect American town with happy, law-abiding citizens. But one night, one of them comes to a school baseball game with a loaded shotgun, ready to kill. Another man burns down his own house…after locking his wife and young son in a closet inside. Within days, the town has transformed into a sickening asylum; people who days ago lived quiet, unremarkable lives have now become depraved, blood-thirsty killers, hiding in the darkness with guns and knives. Sheriff Dutten tries to make sense of what’s happening as the horrific, nonsensical violence escalates. 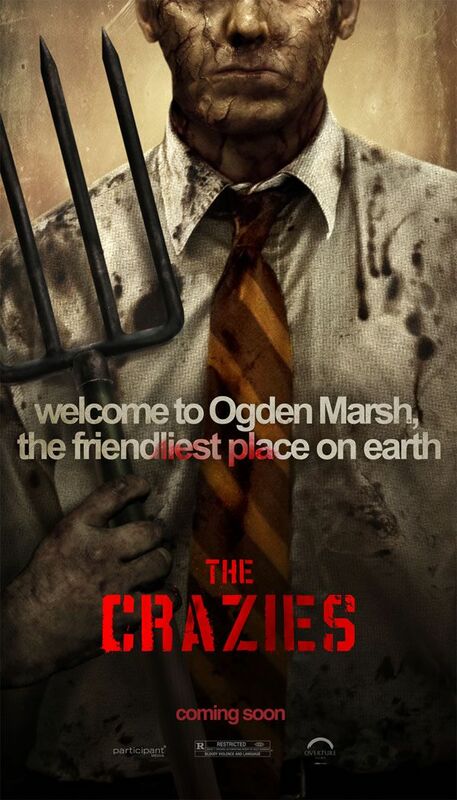 Something is infecting the citizens of Ogden Marsh…with insanity. Now complete anarchy reigns as one by one the townsfolk succumb to an unknown toxin and turn sadistically violent. In an effort to keep the madness contained, the government uses deadly force to close off all access and won’t let anyone in or out – even those uninfected. The few still sane find themselves trapped: Sheriff Dutten; his pregnant wife, Judy (Radha Mitchell); Becca (Danielle Panabaker), an assistant at the medical center; and Russell (Joe Anderson), Dutten’s deputy and right-hand man. Forced to band together, an ordinary night becomes a horrifying struggle for survival as they do their best to get out of town alive. Both spots are in the player below.